It feels great to help our community; you should join! This week is Volunteer Recognition Week! All of us at MVD Express want to thank those who take time out of their schedules to help those less fortunate, those in need of assistance, or those causes near and dear to the heart. However you fit volunteering into your life, your efforts make the world go ‘round. Most organizations welcome any help they can get, and you have many options available to you if you are interested in giving back to the community. So, find a cause that you’re passionate about and make the effort to get involved. 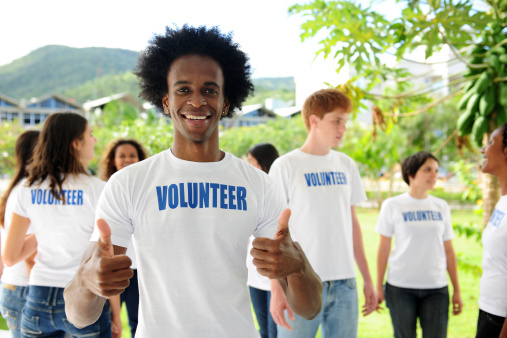 Volunteering is good for your soul and for your mood. In a study, researchers found that high levels of volunteer activity led to fewer crime rates, better health and increased happiness. By focusing our energy on doing something great for another person, you’ll be able to increase your satisfaction with life. Consider volunteering! You’ll be glad you did! At MVD Express, we don’t just encourage others to give back, we take our own advice to heart. We regularly participate in and contribute to many of the organizations that do so much to help the people of New Mexico. We’ve built a culture of giving in our company that we hope will be a model for many others to follow. If your business is interested in finding ways to help, we’d love to talk to your organization about ways to get involved!